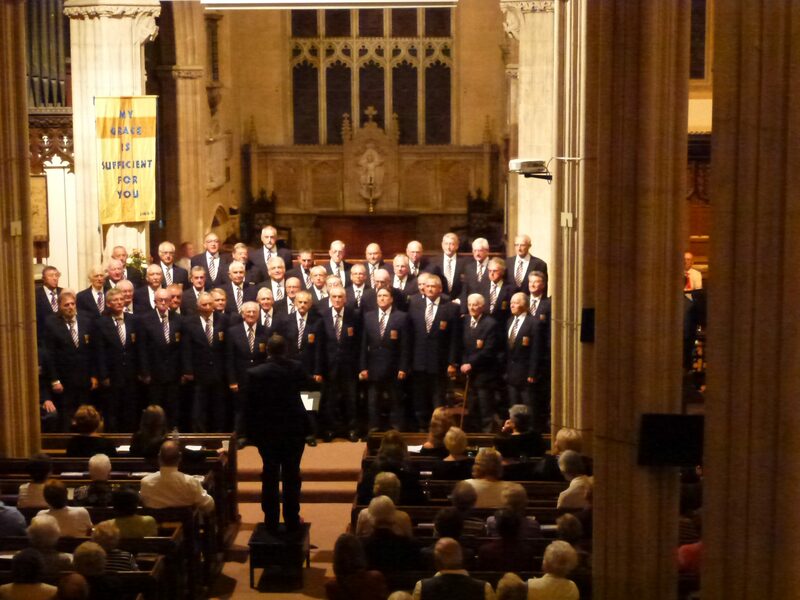 Billed as a Three Choirs Concert – Music From The Hills And Valleys, this was a “return” concert with the Mendip Male Voice Choir following their visit to us in 2015. 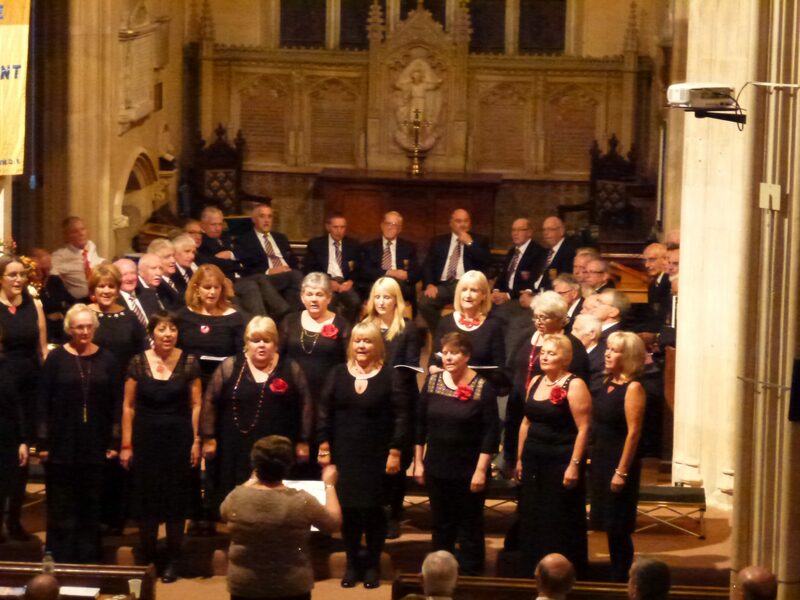 The ladies of Parti Llwchwr also joined us in the concert, having been part of last year’s event. 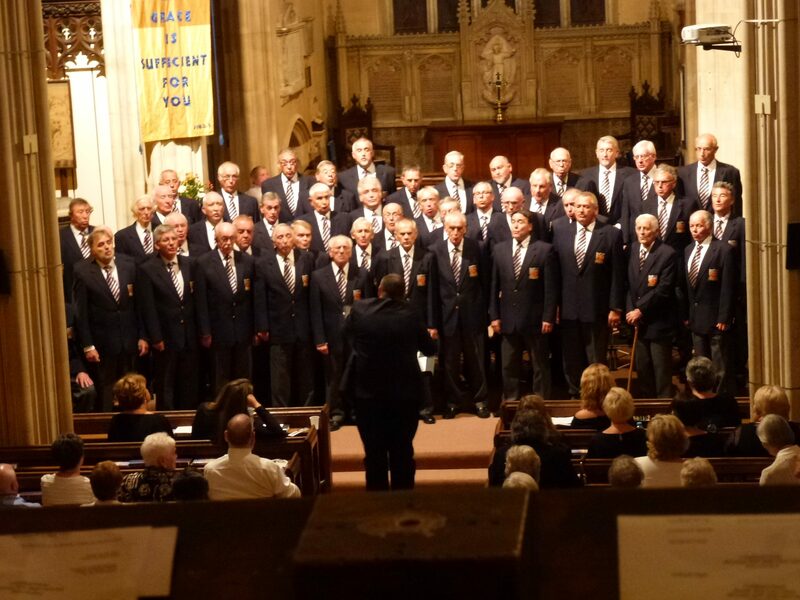 They were conducted by Janet V. Jones and accompanied by D. Huw Rees, our MD. We were accompanied by Rhiannon Pritchard. 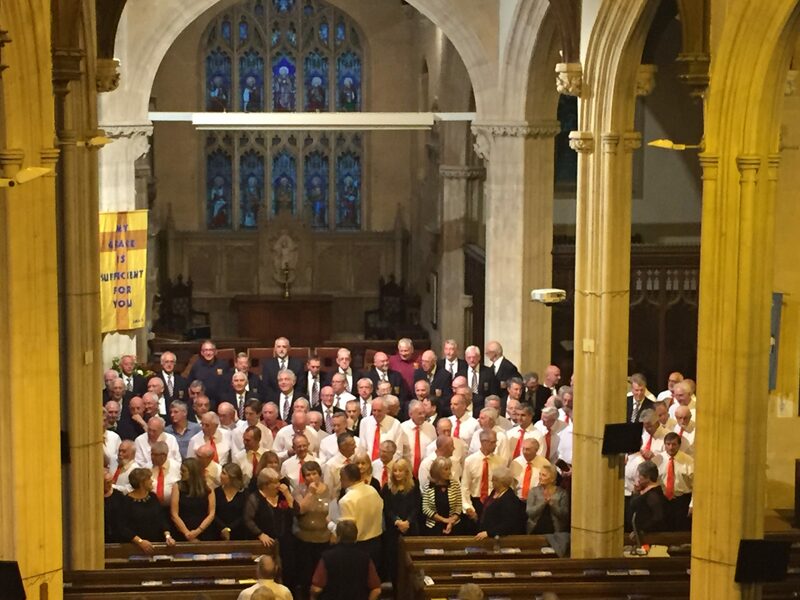 Each choir sang from its own repertoire, with the Mendip choir (MD Jamie Knights, Acccompanist Phil Evry) singing the well-known Welsh hymn Llanfair in English. To end the first half we joined the Mendipmen in You’ll never walk alone. 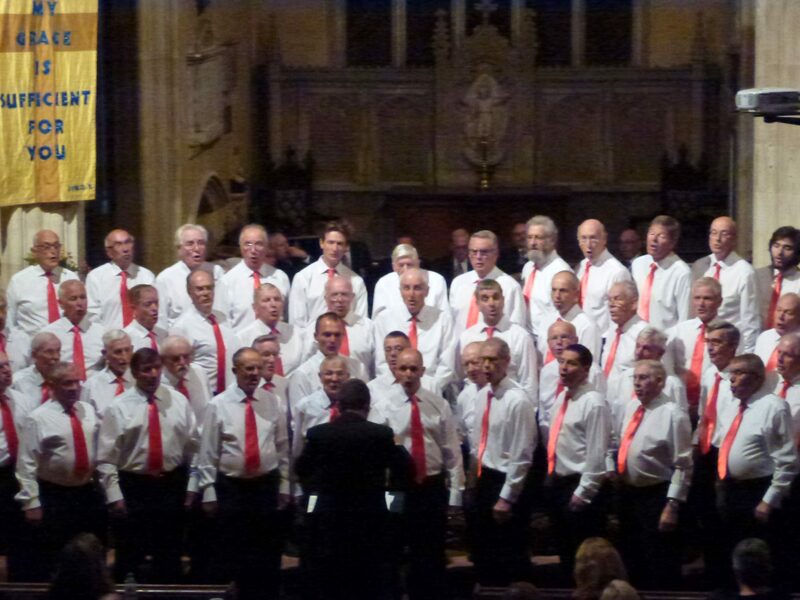 The second half took the same format, but we were joined by Parti Llwchwr in Anfonaf Angel, and then all three choirs ended the concert with American Trilogy. 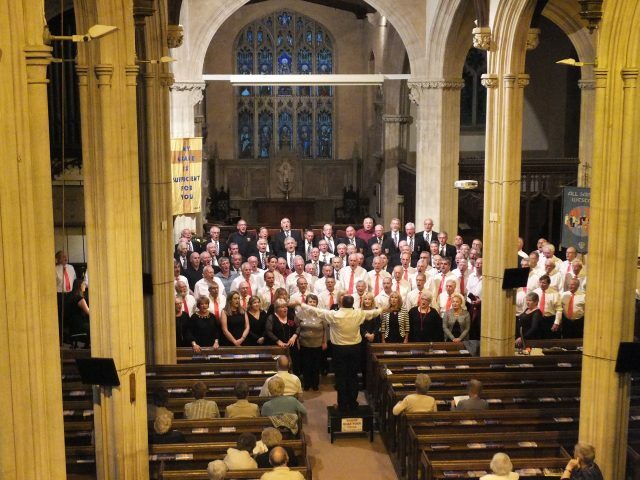 The performances were warmly appreciated by a packed church, and the evening ended with wonderful afterglow in the adjacent hall, with an excellent buffet and sing-song. 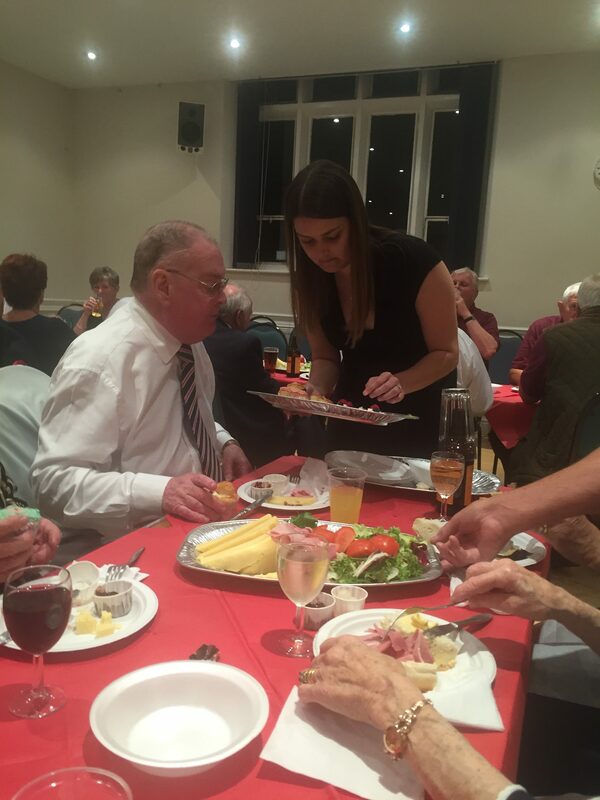 We would like to thank all those responsible for our warm welcome, and for the buffet – especially the lady who made ALL the cakes! Heol y Nant in Clydach was turned into a street party for the filming of this BBC new series, which aims to unearth items for auction to raise funds for local causes. There were also cake stalls to help boost the profits. In spite of quite a wet summer’s day, spirits were not dampened and towards the end of the event we sang a few songs to entertain while the proceeds were being counted. Paul Martin, well known for his appearances on “Flog It”, was in charge, and although his trademark blue suit became quite damp, he managed to keep smiling and charmed the crowd (and the Choir) with his easy affable style. 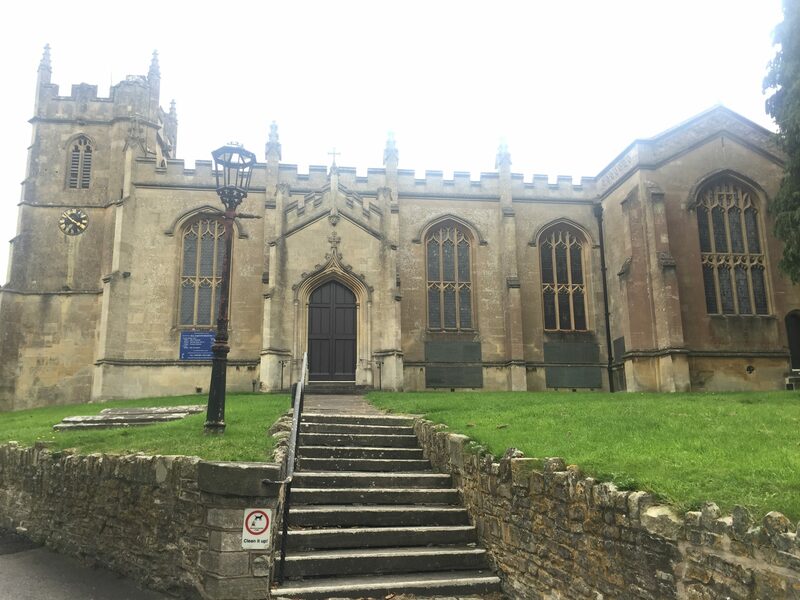 We are glad to report that a sum of over £2,200 was raised to support a young local family who had lost their husband and father at an early age. We thank the people of Heol Y Nant, and Paul and his film crew for their warm welcome, and look forward to seeing the finished programme in September.